…I discovered there is a whole other world of beauty not normally noticed in the nature that surrounds us every day. 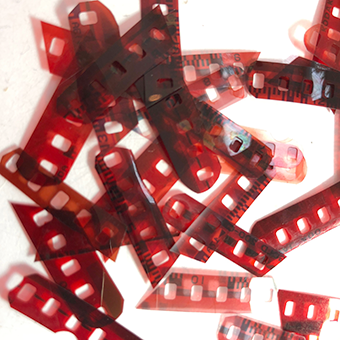 By incorporating a reverence for the planet by using recycled materials, I alter old 35mm film negatives and slides to create earrings, pendants, brooches and bracelets. 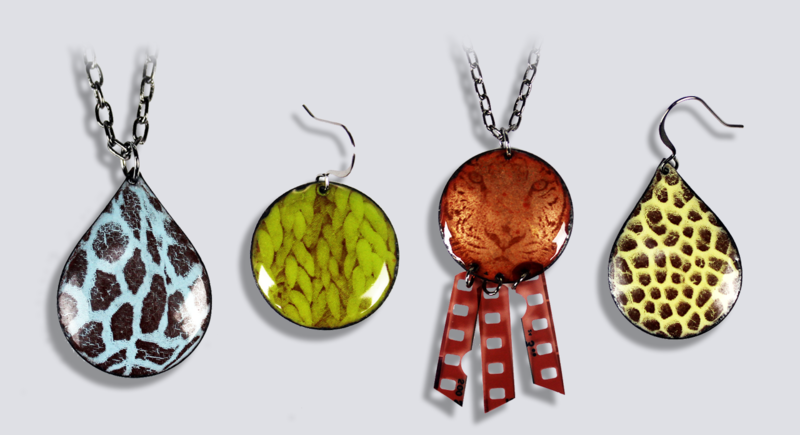 Recently, I introduced a new collection of nature-inspired jewelry which incorporates patterns found in nature on the surface of enameled copper forms. The images show subtle patterning that is only found by closely examining an individual plant leaf, bark, or other surface. Upon closer inspection of these images, I discovered there is a whole other world of beauty not normally noticed in the nature that surrounds us every day. These tiny works of art are created to remind us to “stop and smell the roses” by examining the beauty not normally seen in the world around us.